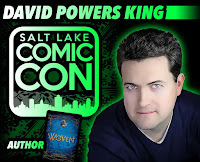 David Powers King: New Release: A Night Divided, Self Publishing Decision and What I'm Doing, and My Comic Con Schedule! New Release: A Night Divided, Self Publishing Decision and What I'm Doing, and My Comic Con Schedule! Last week I mentioned the possibility of giving self publishing a try. Several things have gone into motion since then that will make this decision a reality. The date isn't set yet, but I'm looking at a January release for my zombie novel. Why January? I planned this story as a series, so giving me a few months will help me get acquainted with the process and get the other books underway, so there won't be a huge gap between releases. Plus I'm balancing this project with the work I'm doing on the traditional front. I'll have more info later. 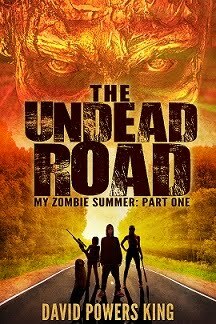 The Undead Road: My Zombie Summer, Part One - coming soon! If you're able to make it to America's fastest growing comic con, it would make my day to see you there. Do it for Captain America! Before I sign off for the week, I'd like to thank my readers and the blogosphere for the outpouring of support you've shown me this last week. I was extremely anxious about sharing that post, but I'm glad I can put my serious hat on every now and then. Thank you for your comments and emails. Because of your help, I'm on the upswing. Until next time, keep it tight. Who else is picking up A Night Divided? Are you ready for my first zombie novel? Is anyone planning to visit Salt Lake Comic con? I'm David, and ... I could use a bag of jerky right about now. Yay for self publishing! Good luck! Glad you have a target release month. Have fun at the con! Wish there were more cons in my area. Good luck with your new endeavor! Zombies will always be awesome. I can't wait to see it. I just bought A Night Divided. So good! Have fun at Comic Con! Congrats on the decision to self-publish. Do you have a formatter? I've been to a Star Trek convention in ABQ, NM, but that's it. Is it a series or a serial? I've been enjoying various serials lately. Short, but with a frequent release schedule it's great. We will have to hear how the self pub goes!!! Congrats! I just bought A Night Divided. Thanks for the recommendation. I love books set during that time period. Our oldest daughter who just started college has been dating a guy (man I suppose I should say) that she met two years ago when he was an exchange student here in the states. He is from Germany and his family lived in East Berlin before the wall came down. He vacationed with our family this summer and I never tired of his fascinating stories of what his life was like growing up. Congrats on making a decision and setting a release date. I don't know the factors that went into your decision, but I'm sure you made the right choice for you. A lot of authors seem to be dividing their work between the traditional route and the self publish route. Best of luck with your January Zombie release. Self-publishing is a great idea, and i hope you can find some jerky soon. Have a great time At Comic Con! I so want to attend a Con some day. My girls are on-board. So is the husband. Just waiting for the right opportunity! Woohoo! Can't wait to shout about your zombie novel from the rooftops! Jennifer's book sounds sad and wonderful. 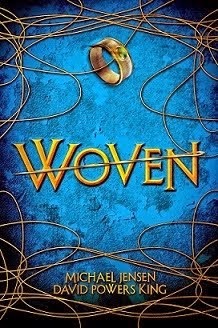 Funny, to me that is not a historical novel LOL. Have fun at the comic con. Good luck with the zombie book. I wish you all the best with it. Hugs. I'm glad you're feeling better, David. Enjoy Comic Con! I wish I lived close enough to heckle, I mean visit you at the ComicCon. I thin k you made an excellent choice, o' wise master of your own destiny! I can't wait to read the zombie book. I'm expecting great things! It sounds like you will have a blast at this Comiccon. Congrats on the book and it sounds like the blogger buddies really helped you through a tough week. The book about the Berlin wall sounds excellent especially since my mom escaped from East to West but NOT in Berlin and this was way before the wall. Hey, David. 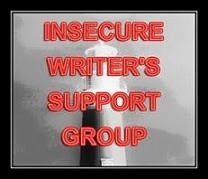 Sorry I missed your IWSG post, but I'm glad to hear that things are on an upswing. Hopefully, my post today will bring further cheer - check it out! Exciting to hear about your self-publishing adventure, you're going to be busy, but it's worth it. Have a blast at ComicCon! Hi David - yes as Nick says ... glad the posting and comments helped -and you've got lots to look forward to. That book looks to be so interesting ... we hear stories, but they are always interesting to learn more and understand the times better. Good luck on the self-publishing front. Be sure to keep us informed about what you learn. Have a great time at Salt Lake Comic Con Dave. Your rubbing shoulders with the best in the sci fi business. I couldn't believe my Star Trek Conventions page hadn't your link- well thats fixed!!! I'll watch for how your self-publishing experiment turns out. Good luck. Local and regional Cons are the best. Have fun and congrats on self-publishing. This sounds incredibly exciting! Sounds like you have the best of both worlds with publishing. Congrats David. Have fun at your Cons! Looks like you're going to be busy during the Comic Con. Hope you have fun! I've added Night Divided to my TBR list. Sounds compelling. Let me know when your Zombie book comes out. I'll help pimp it. Do you know if you'll look at having it be an audiobook? Ooh! Getting brave, eh? I'm stoked for you. I've read a few zombie books I absolutely loved, and who doesn't love watching zombie shows? 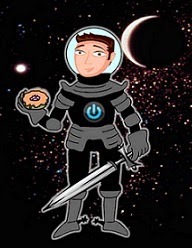 Good luck with the self-publishing journey and Comic Con! 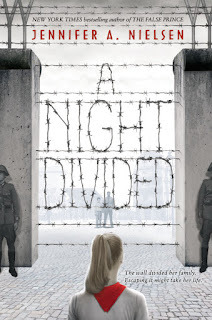 I can't wait to read A Night Divided. I have plans to make a book run trip soon, since I seem to be running out of things to read and there are so many good books coming out soon. Congratulations on the self publishing! I hope it all goes well!